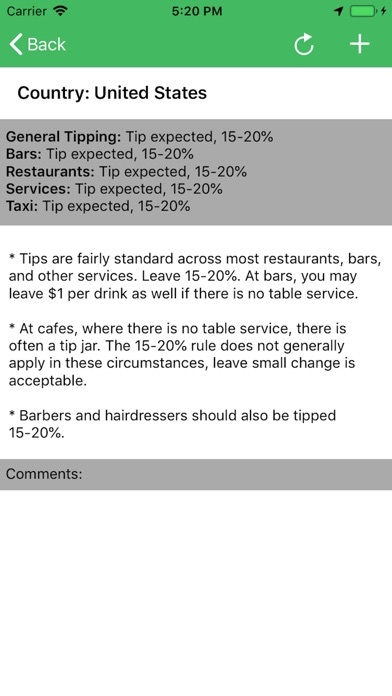 TipFox shows you how much tip to leave at restaurants, bars, and for common services around the world. Have you ever been on a trip and not known how much to leave your hairdresser, taxi driver, or tour guide? 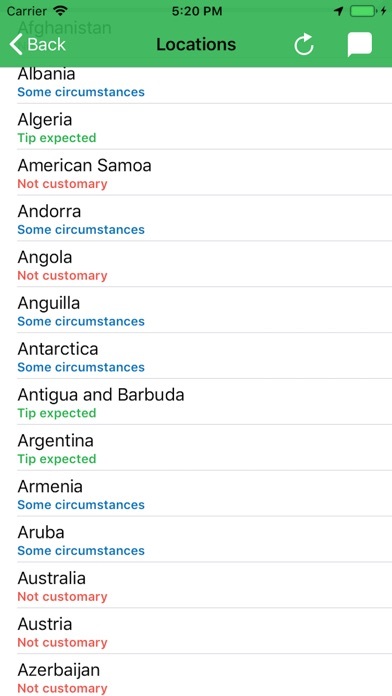 TipFox shows you the general tipping practices in a country at a glance as well as a detailed guide for countries worldwide. 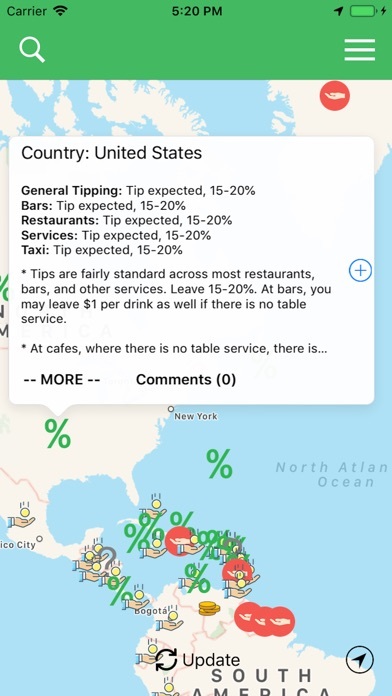 * TipFox shows you whether or not tips are generally expected, rounded up, not common, or just used in certain circumstances, all at a quick glance on map view. * Details pages for every country show you how much to tip at restaurants, bars, for common services, as well as taxis. 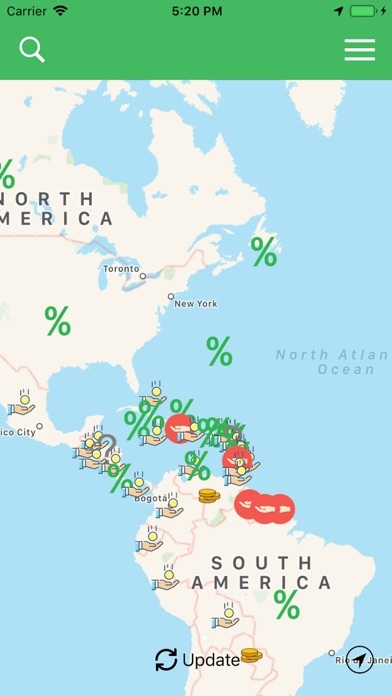 * Additionally, TipFox has information on how much to leave guides on tours, hotel staff, and other specifics for various locations. * Includes tipping etiquette, best practices, dos and don'ts, so you can be a courteous traveler who's not over or undertipping. * A comment section to connect with other travelers or the administrator, ask questions, and leave your own feedback. * Works completely offline. * Updated when you have an Internet connection for realtime information. * A comment rating systems for users so the most useful, informative responses are highlighted on top of the others.